Ultra-Tech Electronics is an Australian manufacturer and preferred supplier of HID lighting control products and systems. We supply local and international lighting companies with products and solutions for their high wattage lighting projects. 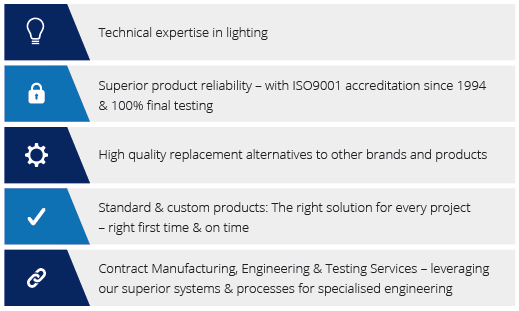 While we specialise in lighting control products and systems, we are also able to provide other services, including contract assembly, manufacturing, engineering and testing services – leveraging our superior ERP systems and our design and manufacturing capabilities. A privately owned family business, we are based in the Southern Highlands of New South Wales, adjacent to the Hume Freeway and close to the city and port of Sydney.